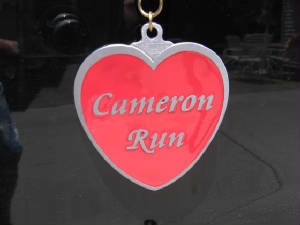 The Fifth and Final Cameron Run to benefit Ronald McDonald House Charities is going to be held on Saturday, August 13th, 2011. The 5K run/2K walk is held in Dunkirk, New York's Point Gratiot, along the shores of Lake Erie beginning at 9:30 AM. The Dunkirk Moose Club will be used this year for Registration and Packet pick-up. A slightly NEW course will be used this year also. 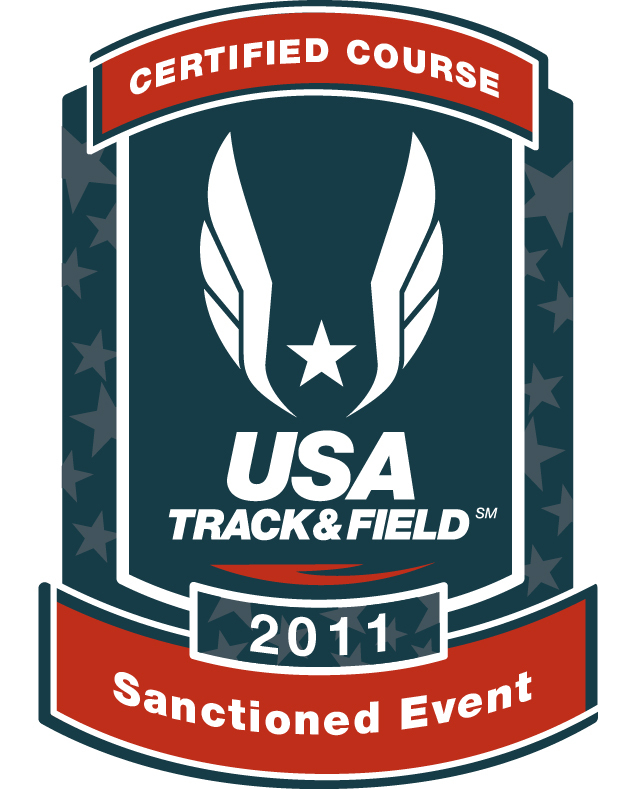 Click HERE for a printable registration form for the 2011 Cameron Run (Adobe Acrobat required). 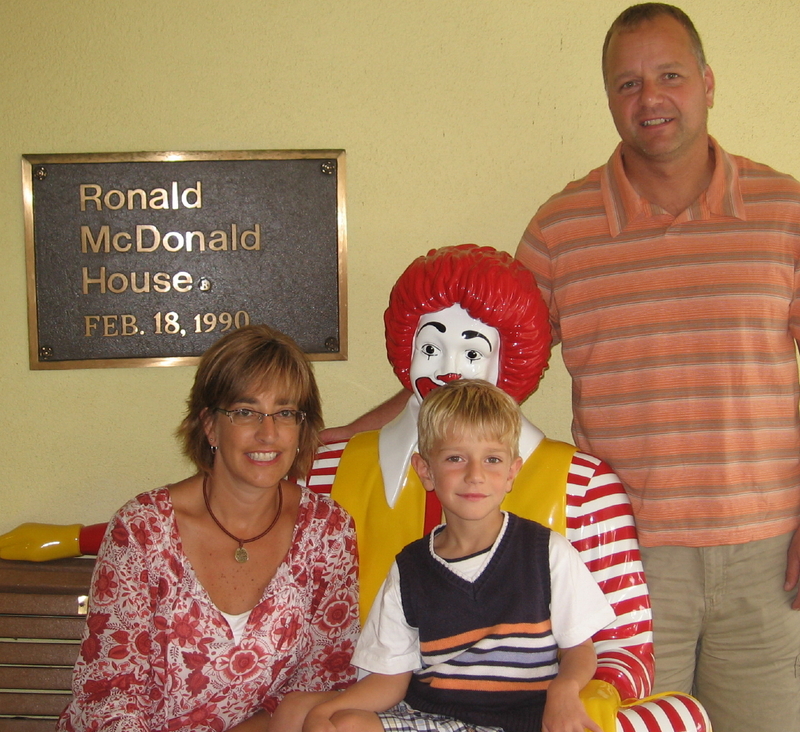 Race organizer Jeff Marsowicz, with his wife Sara and son Nicholas, donate the proceeds from the 2008 Cameron Run to the Ronald McDonald House Charities of Rochester NY. 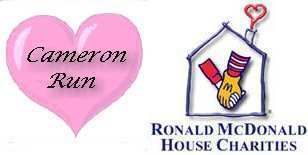 Ronald McDonald House Charities are most appreciative of the support generated by the Cameron Run. 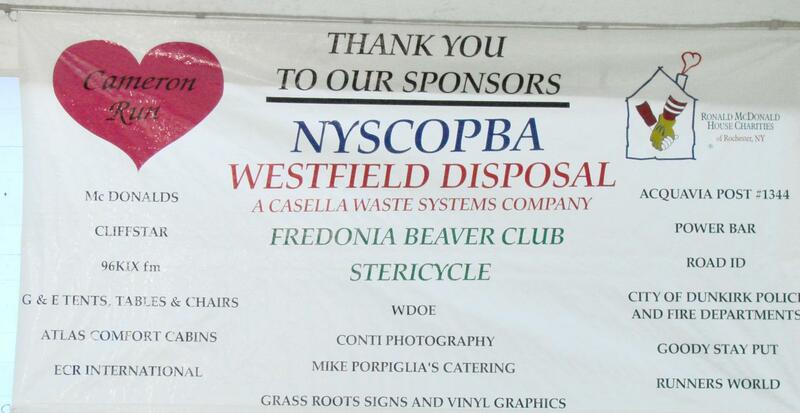 Please consider donating to this worthwhile cause!